The Green New Deal (GND) resolution recently submitted by Rep. Alexandria Ocasio-Cortez (D-NY) and Sen. Ed Markey (D-Mass.) proposes a broad vision to transform the United States. It calls for a mobilization to create a climate-safe USA and thereby “create millions of good, high-wage jobs, virtually eliminate poverty, provide unprecedented levels of prosperity and economic securing for all U.S. persons, and counteract systemic injustices.” Here’s a strategy for how it can succeed. Establish government agencies to oversee the transition. 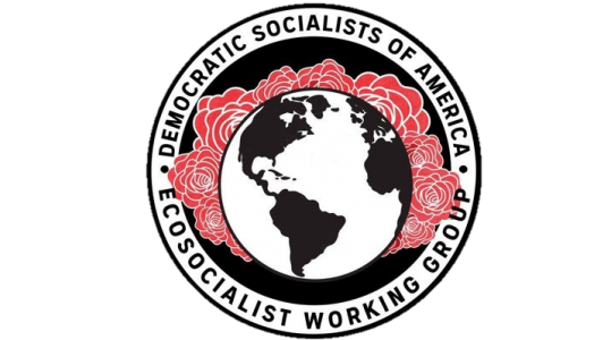 Mobilization for the GND is an emergency that, like mobilization for World War II, requires powerful governmental agencies dedicated to the purpose that can plan and implement the transition to a climate-safe economy. The Green New Deal agencies, established by act of Congress, will raise capital; implement labour force strategies; organize funding for infrastructure such as transmission lines, railways, and pipelines; fund research and development; set and monitor energy efficiency standards for buildings, appliances, and equipment; train and retrain workers and professionals; set industrial location policies; and coordinate the multifaceted activities of federal agencies, state and municipal governments, corporations, and civil society organizations. Government initiative is necessary to cut through inertia, bottlenecks, and bureaucratic red tape. Use government to plan the transition. Climate protection requires the capacity to make long-range plans that affect many aspects of life. Planning climate protection is in some ways similar to planning the nation’s transportation system. It requires making decisions, such as whether to build highways or railways, that will shape the life of the country for decades to come. It requires the technical capacity to design and engineer such complex systems. It requires taking into account a wide range of economic, environmental, and social factors – and maximizing beneficial side effects while minimizing undesirable ones. Use regulatory powers to freeze, phase-out, and replace all fossil fuel infrastructure. In 1942, President Franklin Roosevelt banned the production of passenger cars to allow the reorganization of industry for war production. The goals of the GND require a similar, though more gradual, managed decline in fossil fuel production and use, and its replacement by fossil-free energy. Such a transition should be enforced by the regulatory powers of government. State Renewable Portfolio Standards (RPS) provide an example. A national RPS should require replacement of fossil fuel energy by renewable energy at the annual rate necessary to meet GND goals. Similar standards should be developed for conversion of transportation, buildings, industry, and all other greenhouse gas (GHG) producing sectors. 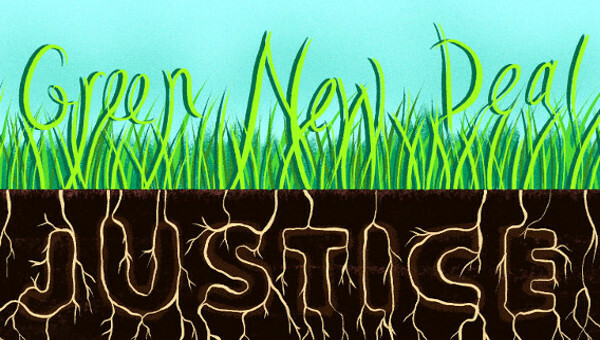 Establish Green New Deal agencies for reorganizing economic sectors. A fossil-free economy will require transformation not just of individual workplaces and companies, nor just of the economy as a whole, but of specific industries and economic sectors. Industry-wide planning is necessary to capture synergies and economies of scale, establish level playing fields, and ensure that different parts of an emerging climate protection system work together – large-scale, long-term coordinations that cannot be provided by the market. Here, public climate policies, industry-wide collective bargaining, and cooperation among businesses in the same industry need to go hand in hand. Protect low-income energy consumers. Current fossil fuel energy costs are themselves a prime source of poverty and economic inequality. The GND should ensure that the energy bills of low-income families are affordable – generally defined as 6 per cent of gross household income. The combination of investments in solar energy, efficiency, and weatherization will reduce the amount of assistance needed; in many cases, the bills will be below six per cent of income, eliminating the need for assistance. All new public and publicly subsidized low-income housing should be net-zero with solar panels onsite and/or offsite. A Green New Deal mobilization will require millions of workers. During World War II, the War Labor Board actively recruited workers to regions and industries where they were most needed and government took the leading role in the rapid expansion of education, training, child care, and housing for the new workforce. 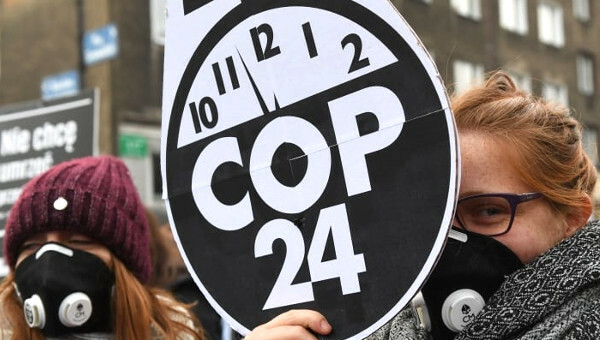 Today, a labour reserve of more than 20 million people who are unemployed, underemployed, or outside the labour force could be available to go to work protecting the climate. The GND will need to match these workers to the employment sectors where they are needed and match the jobs to the needs of the workers. Leave no worker behind. While climate protection will produce far more jobs than it eliminates, it may also threaten the jobs of some workers in fossil fuel producing and using industries. It is unjust that any worker should suffer through no fault of their own because of a policy that is necessary to protect society. 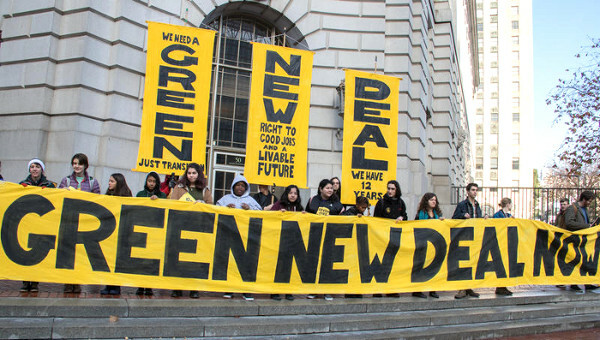 A Green New Deal must create alternative jobs and/or livelihoods or face mass unemployment – and a resulting rebellion against climate protection. Ensure worker rights and good union jobs. The Green New Deal needs to include pay and benefit standards that provide a decent life and future for working families. It needs to support “high road” employers, prevailing wage provisions like those required by the Davis-Bacon Act, and project labour agreements negotiated between unions and employers to ensure that climate protection jobs elevate rather than depress wages and working conditions. Capture the benefits of the transition to fossil free energy. Fossil-free energy is now cost-efficient – it is cheaper and provides more benefits than burning fossil fuels. In the long run climate protection will pay for itself. 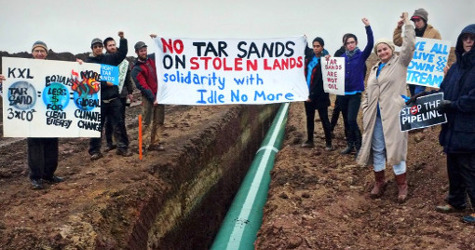 Make the polluters pay. The fossil fuel industry can and should bear much of the burden for the damage it does to humanity and the planet through taxes, fees, permit costs, and other charges which can be used to pay for the GND. Tax policy can help discourage carbon emissions while reversing our growing income inequality. Progressive taxation, particularly on carbon-wasting luxury goods like private jets, can counteract negative effects on income equality. Another potential source for funding the transition to climate safety can be legal damages and fines collected from corporations for environmentally harmful practices. The GND should include litigation and legislation to hold fossil fuel producers and emitters responsible for their colossal damage to the atmosphere – and the colossal cost of remediating it. Support and fund a Global Green New Deal. Realizing the goals of the GND requires global cooperation. Governments must work together to create a global framework that supports climate-friendly jobs and development – what has been called a “Global Green New Deal.” That requires the world to abandon neoliberalism and adopt a new strategy that puts the world’s human resources to work meeting the world’s desperate need for economic transformation that radically reduces GHG emissions. Globalization, neoliberalism, and free-trade agreements have pitted the workers of the world against each other in a fight for climate-protecting jobs. A GND will not pit workers against workers and discourage the growth of climate-protecting industries and jobs abroad. It will oppose both escalating trade wars and the free trade utopia of neoliberalism. Instead, it will pursue mutually managed trade that encourages all countries to develop their climate protection industries and technologies as rapidly as possible, while allowing the benefits to be shared in a way that protects workers in both developing countries and developed countries – not to mention the planet as a whole. The original New Deal of the 1930s was not a single program or piece of legislation – it was a whole era of turmoil in which contesting forces tried to meet a devastating crisis and shape the future of American society. The New Deal was part of a process of social change that included experimentation at a state, regional, and local level; organization among labour, unemployed, rural, urban, elderly, and other grassroots constituencies; and lively debate on future alternatives that went far beyond the policies actually implemented. This article first published on the Common Dreams website. 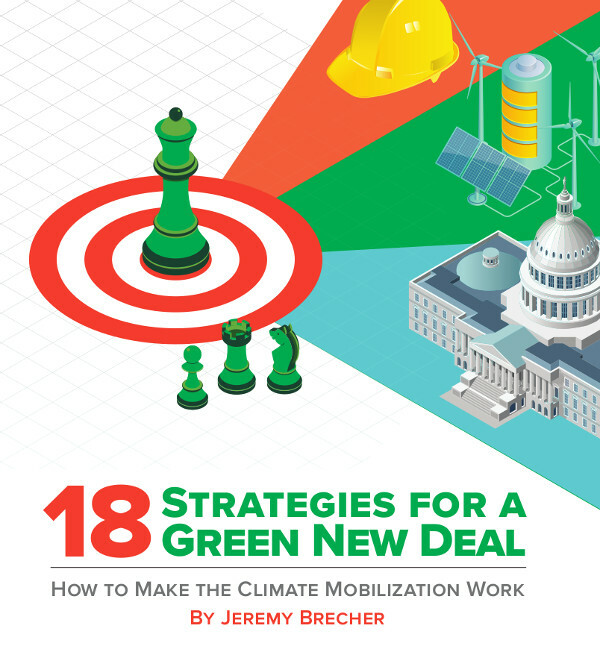 It is based on a discussion paper 18 Strategies for a Green New Deal: How to Make the Climate Mobilization Work from the Labor Network for Sustainability. Jeremy Brecher is an historian, author, and co-founder of the Labor Network for Sustainability. A new edition of his most recent book, Climate Insurgency: A Strategy for Survival , is available at his website.